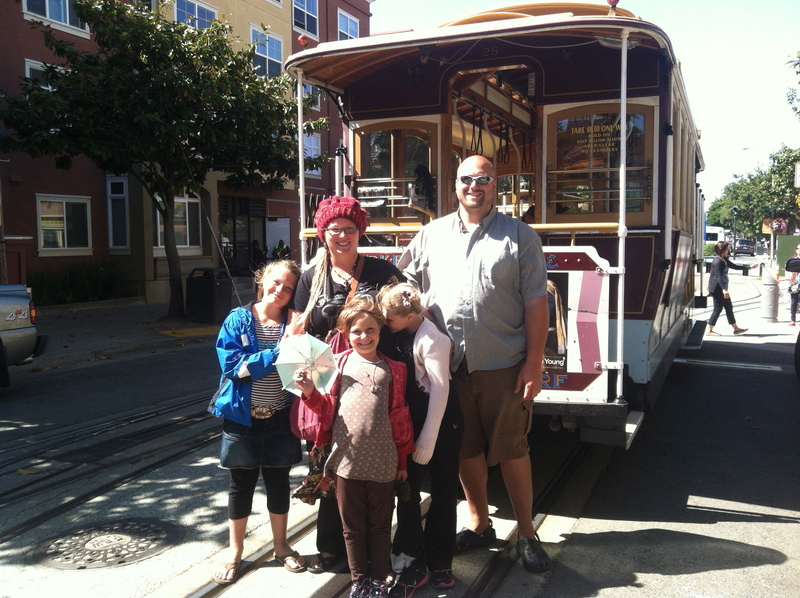 I finally had access to internet that would allow me to upload the video of our Cable Car ride in San Francisco. We had a lot of fun with the family of the Eco Womb that day (and every other day we were able to hang out). We started out early and finished up after dark, but we made some great memories for both families. The video includes some shots of the turn tables where the cars are directed onto the tracks going the opposite direction. It also includes footage from the cable car powerhouse/machine shop/museum and a trip riding on the outside of a car. The cables only pull them up the hills, they use gravity to go down the hills. Each car has wooden brake shoes that rub on the tracks to help slow them down. These shoes are replaced several times each week, and they produce a nice burnt wood smell that you won’t forget. Thanks for watching, next time I will have a video about our ride on the Duck Boats in San Francisco, and our adventures on the California Beaches. This entry was posted in Family Fun, Hiking and Exploration, Tours on July 15, 2013 by Jody.